It should be no secret by now that Candy Crush Saga developer King is one mega corporate jerk. In light of the recent news that they have trademarked the word "candy" (along with the words "crush" and "saga"), you have every right to not want to support them any longer. Not to mention the fact that they admitted to their game Pac-Avoid being a direct clone of an indie game. However, the sad truth is that Candy Crush Saga is an addicting game, the perfect game to kill time in a study hall. Luckily for you, plenty of other very similar games exist for iOS and Android that will kill time just as well, if not better! Bejeweled is the hipster of this list. It was the exact same game as Candy Crush Saga WAAAAAY before Candy Crush Saga was cool. Bejeweled dates all the way back to 2001. Also, remember how I said Pac-Avoid was a clone game? Candy Crush Saga is a clone too. 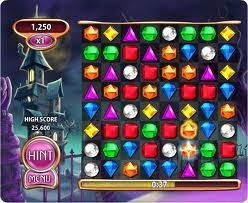 A clone of Bejeweled. This is definitely the best alternative game if you are looking for the EXACT SAME experience Candy Crush Saga provides. Whether you like Angry Birds or not, there is no denying that Rovio makes some of the highest quality games for mobile devices. Juice Cubes is a rare example of Rovio making a game that doesn't involve birds and it works really well. 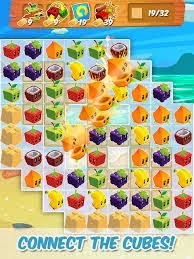 Juice Cubes has charming graphics, catchy music, and tons of levels, just like Candy Crush Saga. The gameplay is slightly different, but that's what makes this game so unique. I personally have been playing a ton of this game and it is probably the best alternative when it comes to overall quality. For the simple man is a simple pleasure. Connect the dots. 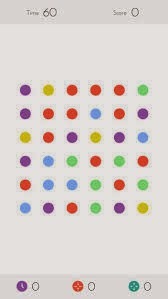 It's an age old concept, but Dots gets it totally right. Super clean graphics, simple sound effects, and lots of colors make dots an addicting but also extremely minimalist alternative to Candy Crush Saga. Be warned, this game will not offer you any kind of action packed adventure or challenge, but it certainly is a lot of fun.